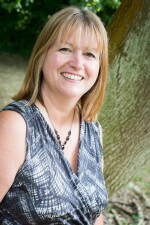 Nozey Parkers founder, Tina Parker, has held financial controller, operations, director roles since the mid-1980s. Throughout the decades she worked for a wide spectrum of organisations, from engineering to beauty products, from medical devices to gaming software, and from restaurants to hotels. Diverse as these businesses are, however, what was common to each of her roles was that she was able to see, very quickly, where each company could make significant improvements – changes which would have a demonstrable effect on efficiency and the bottom line. It appears to be in-built in Tina to seek out the best way for businesses to achieve success. Her experience has led her to improve many and varied businesses regarding their management reports, processes and procedures, governing payroll, stock control, distribution, customer satisfaction, CRM (customer relationship management) and sales. She’s inherently pragmatic – she personally puts in place that which she advises, and proves its worth before passing the baton and teaching others to take this on. We are told she also has the sensitivity and approachability required to easily bed-in new methods and ideas. Whatever the method, we take great pleasure in the outcome: better business, fewer frustrations and missed opportunities, happier and more productive managers and staff.